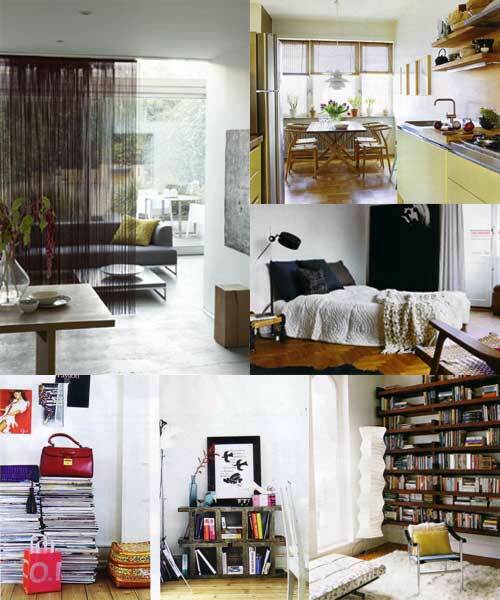 Clever storage :: screens :: shelving ideas :: folding furniture, perfect for modern-day compact living. This got to me too, so much so that I’ve re-planned the whole of my upstairs space! Thanks for your blog, it is so inspiring, I look forward to it each morning. Small spaces that are designed well atract me, i like the idea of everything having a place. ooohhh. what is it about a small space done well?? it’s just that much more impressive, no? wow, have to go looking for it if it isn’t too late. Lovely – i think these ideas come in so handy for most of us!! I’d happily live in any of these small spaces. I always love this kind of features. My boyfriend and I lived 3 years in a 30 square meter apartment, so we know all about small space living.